It is Board meeting week for me this week, Tuesday is the Writers Foundation meeting and then Wednesday is the Arts & Culture Council meeting. We have a lot to plan and organize for our annual Words in the Park and Culture Day events. Again we are co-hosting our events as part of Alberta Culture Days. It is a special year not only for Canada 150 but the Writers Foundation and Albert Culture Days 10th anniversaries. We have a new larger venue this year – Spark Gallery, which is the home of the world renowned Canadian artist Glen Roland. It is exciting to have such a beautiful space to display, interact and engage. 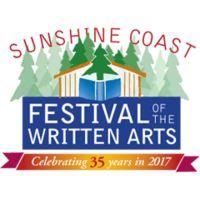 With numerous authors and artisans, dance and music performances, children’s activities and a food truck it’s an event for the whole family. What events are in your area? Why not share?